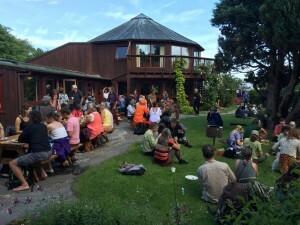 This year marks the 30th anniversary of the formation of the Fellowship for Intentional Community. A lot has changed in 30 years. 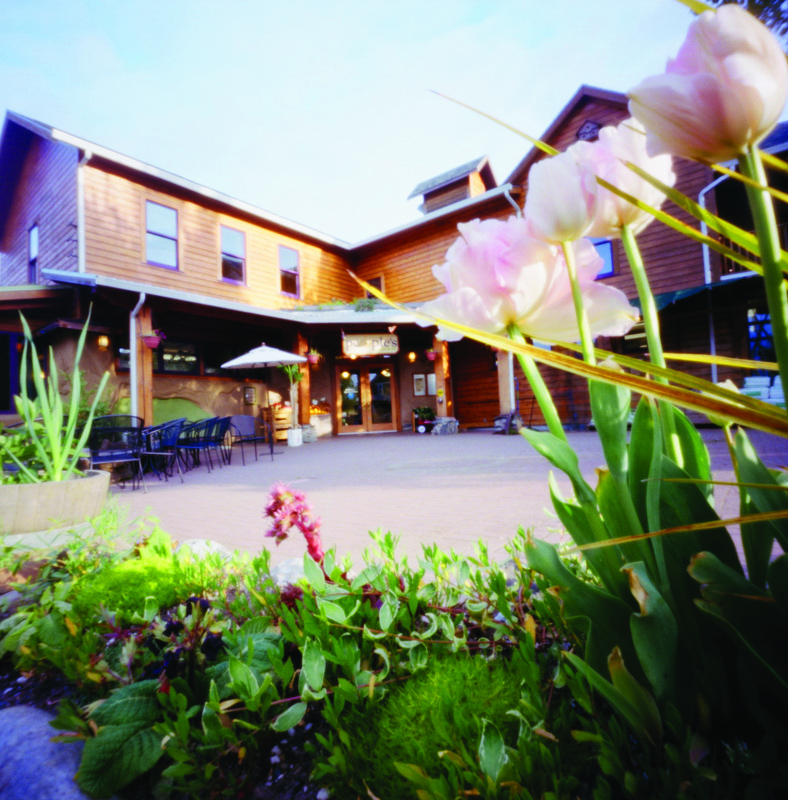 Communities magazine started in 1972 as an amalgamation of several newsletters about communal living, which was a result of meetings at that year’s Twin Oaks Communities Conference. 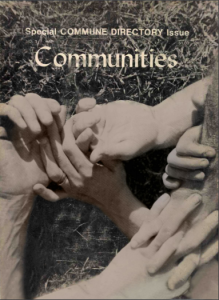 The first issue of Communities included the first Communities Directory. It also mentioned the North American Students of Cooperation, which focuses on student housing cooperatives, and was formed in 1968. But like the FIC, it is a successor to an organization that goes back to the 1940s. We are growing this movement in very rich soil that’s been cultivated for generations by people all over the country who somehow had the passion, dedication, and faith to build their communities and build a movement. The social and political landscape has also changed dramatically. 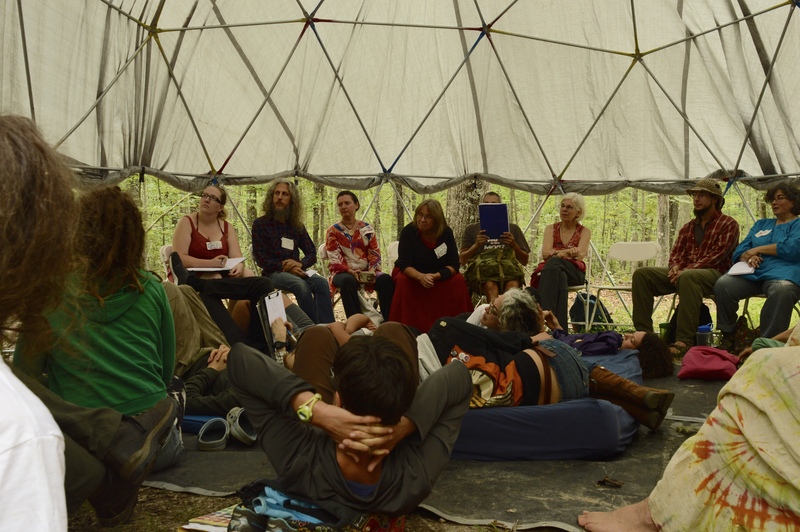 The counterculture and back-to-the- land movements of the ’60s and ’70s birthed many of the communities prominent in 1987, yet the schism with mainstream society they represented was only widening and intentional communities were becoming increasingly obscure and marginalized. It was an important time for the FIC to come together to help keep the momentum going. showing us what was possible. better way to do things. underestimated. Let’s carry forward the best of the past as we create a better future. 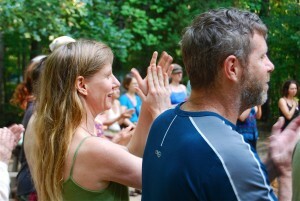 Service and activism go hand in hand with intentional community. 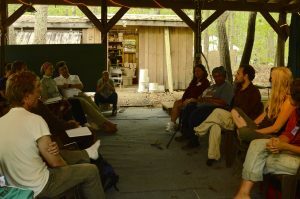 In a sense, central to the intent of intentional communities is providing the service of modeling an alternative society. But it’s also common for intentional communities to engage in service and activism beyond themselves, and our history is full of examples. An early Cooperative Community, New Harmony, founded in 1825 by Robert Owen, created the first store where items could be purchased based on labor credits. 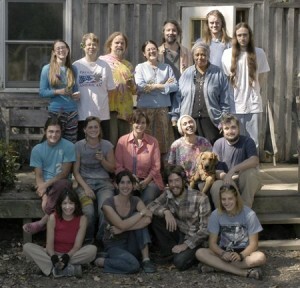 One of the first self-identified intentional communities, Celo Community, founded in 1937 by Arthur Morgan, received criticism for its opposition to World War II, and many of its early members were Quakers and conscientious objectors. 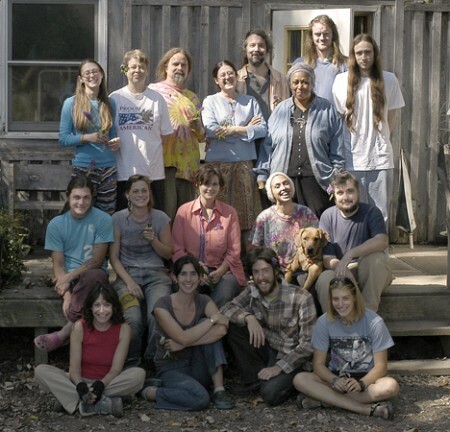 In 1940, Arthur Morgan was also one of the founders of the original FIC, the Fellowship of Intentional Communities (now, we’re the Fellowship for Intentional Community, a subtle but important difference), a mutual aid association governed by representatives from member communities. Catholic Worker communities began appearing in 1933, practicing radical hospitality, advocating nonviolence, and opposing economic inequality and social injustice. 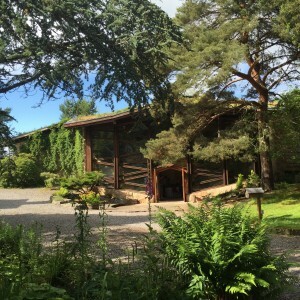 Koinonia Farm, an interracial Christian community, was founded in 1942 on the principles of the equality of all persons, rejection of violence, ecological stewardship, and common ownership of possessions. Members of Koinonia would eventually start Habitat for Humanity in 1976. 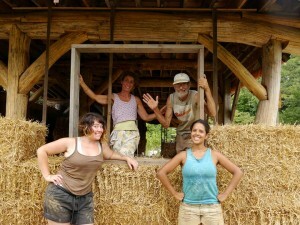 The Farm, founded in 1969, is often credited with rebirthing the midwifery movement in the US, and in 1974 formed Plenty, which is well known for its four-year presence in Guatemala helping rebuild after the earthquake of 1976. Newer examples abound as well. 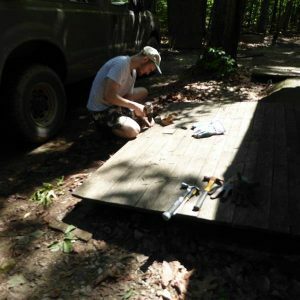 The Camphill Communities and Innisfree Village have created communities for adults with developmental disabilities. 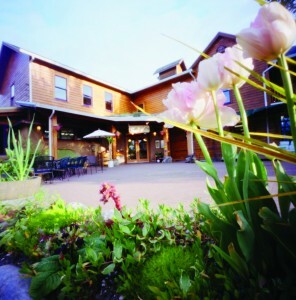 Dignity Village in Portland, Oregon is a community with city support for the homeless population. The now defunct Rhizome Collective, in Austin, Texas housed a local Food Not Bombs chapter, a books to prisoners program, and a bikes across borders program. The Baltimore Free Farm cooked food for hundreds of demonstrators during recent protests in Baltimore following police shootings. 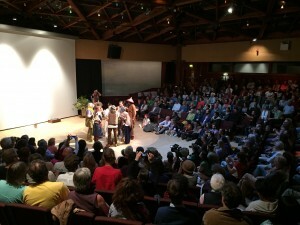 Various communities, such as Occidental Arts and Ecology, Dancing Rabbit Ecovillage, and EcoVillage at Ithaca, run education centers and programs. 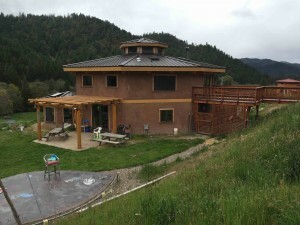 I was recently contacted by a woman interested in creating an intentional community for returning veterans, and I know of a retreat center looking to convert to a transitional community for people coming out of prison. 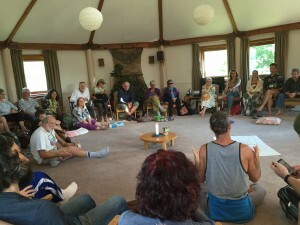 There are individual members in just about every intentional community I’ve visited who are involved in all manner of peace and justice organizations. 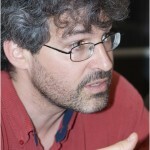 “No [person] is an island,” and no community is an island either. It’s not possible for a community to be completely self-sufficient and sustainable in an unsustainable world, and there is no freedom or justice until there is freedom and justice for all. 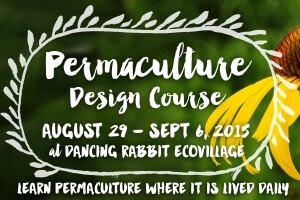 Inherent to the creation of intentional communities is a desire for another way of living. Creating and maintaining another way of living will always be an uphill battle until that way of living is accessible to everyone. As a predominantly white, middle-class movement, intentional communities have some soul- searching to do. It is not possible to remove yourself completely from the global economic system at this point. At their worst, intentional communities can be little more than examples of white flight, and by taking advantage of their privilege to avoid dealing with systemic injustice they are tacitly condoning those systems. I’m writing this just days after the murders of Anton Sterling and Philando Castile by police. The aftermath, including the shooting of police officers in Dallas, has made the need to address racial injustice more apparent than ever. There is a resounding call for white people in particular to start showing up for racial justice (check out SURJ, which stands for Showing Up for Racial Justice, for some great ideas on what you can do and find local chapters at www.showingupforracialjustice.org). This doesn’t necessarily mean everyone should drop everything you’re doing, but it might mean some expansion of activities or a shift in focus, and it does mean that what you’re doing should be looked at to see how it can challenge systemic injustice, which disproportionately affects women, poor people, and people of color. And as I write, I’m attending CommonBound, a conference organized by the New Economy Coalition (NEC), of which the FIC became a member last Fall. There are over 150 members of this coalition, including Yes! 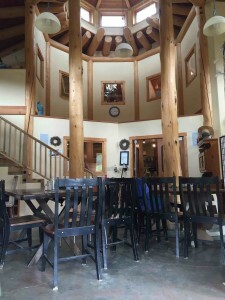 Magazine, the Highlander Center, Code Pink, the US and Canadian Federation of Worker Cooperatives, Earth Island Institute, Equal Exchange, and on and on. What they’re helping make clear is that all these issues, from housing and finance, to race and culture, to criminal justice and militarization, to climate change and energy, are interconnected. At the opening plenary of CommonBound, the NEC’s program director, Anand Jahi, shared the story of his cousin, who was unarmed and shot by an off-duty police officer two years ago (you can find a full article by Anand on Yes! Magazine’s website). His cousin had been visiting the apartment complex he had lived at before he had been fired from his job for filing a racial discrimination complaint and then been evicted. The officer tried to arrest him for trespassing, eventually shooting him. Anand talked about the need to understand the economic devastation, which disproportionately affects people of color compared to whites, that is often the backdrop for these shootings. It’s dangerous to be black in America, he said, but it’s even more dangerous to be black and poor in America. 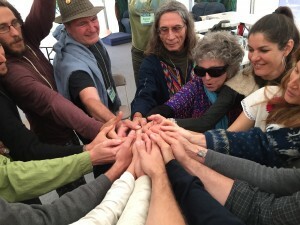 The nature of intentional communities is that those of us who live in them are in service to each other. As self-managed, self-governing entities, we are collectively responsible for meeting the needs of the community as a whole as well as the individuals, because the individuals are part of the whole community. An attitude of service goes a long way to creating harmony in community, and the world. 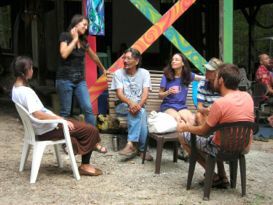 As social experiments, those who live in intentional communities are essentially activists, and must be active in their responsibility both for the success of the community and in the impact the community has on the world around it. 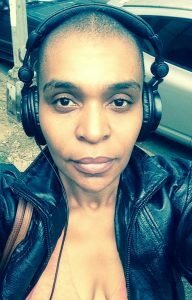 Being an activist is essentially about responsibility and accountability, and taking those on also goes a long way to creating harmony in community, and the world. 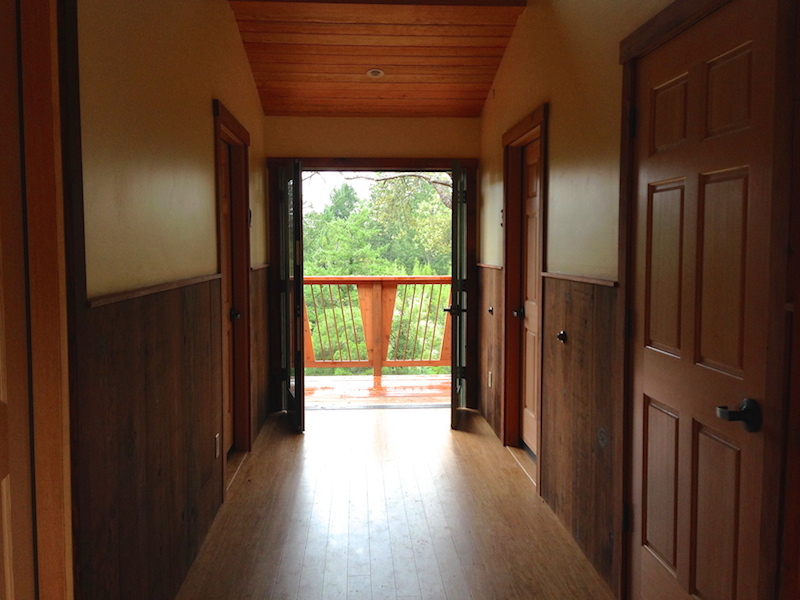 If you haven’t heard about Dancing Rabbit Ecovillage you probably will soon (in fact, you just did!) 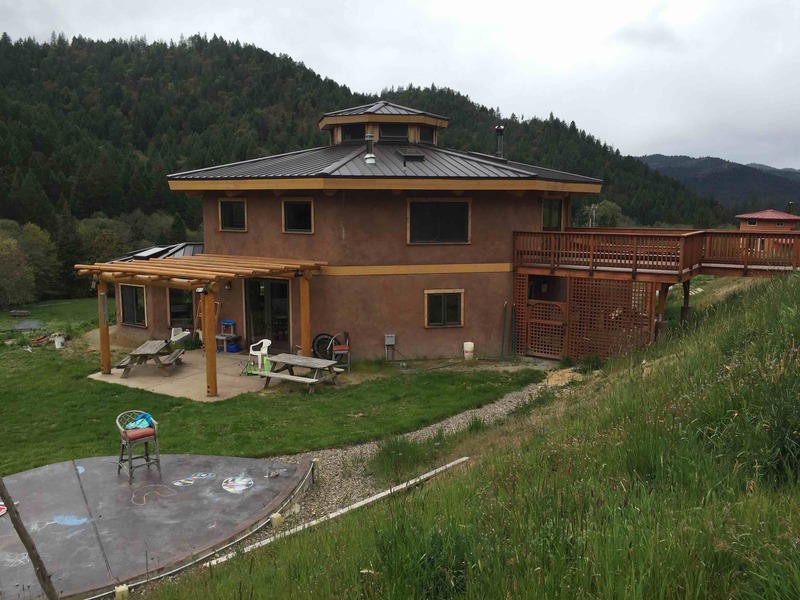 For the most part, people unfamiliar with intentional communities might still have heard about The Farm or Twin Oaks, which have both been around nearly 50 years and gotten a lot of press and study. By contrast, DR has only been around 17 years, but has become one of the most well known communities. Why? Because it’s on a mission! First off, it’s one of the few communities to make some serious commitments to ecological sustainability. It’s ecological covenants require it, among other things, to use virtually no fossil fuels, and only use electricity generated from renewable sources. It’s aiming to grow to a population of 500 – 1000. It also has a clear education and outreach mission, and the community incorporates an educational non-profit, DR Inc., to coordinate those activities. 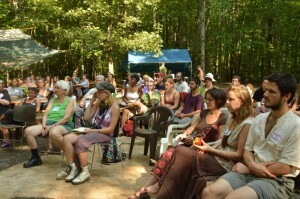 In addition to running events and programs at the ecovillage, DR Inc. has been working with academics and researchers. One project is to create a carbon footprint test that works for communities (those that exist are all based on individuals or families.) Media interface is also key to DR’s work, and DR Inc’s Executive Director, Ma’ikwe Ludwig, has been on a national speaking tour following a wildly successful TEDx talk she gave. 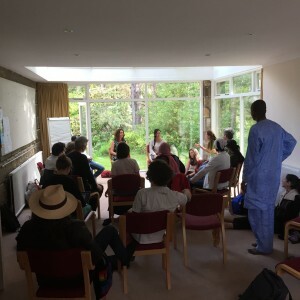 Also, DR has maintained a close connection with the Fellowship for Intentional Community over the years, with numerous if it’s members serving as Board members or Staff for the FIC. I don’t know how to take a vacation. Maybe it would be different if I went to a typical vacation location. But even then I don’t think I’d know what to do with myself. My vacations consist of visiting family and friends, which invariably means I end up visiting communities, and on my recent pilgrimage back to my native land of California I had the opportunity to visit several. 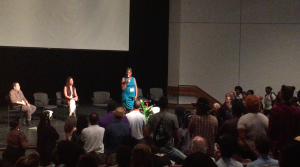 A key goal in the trip was to visit the newly founded Groundswell Institute, which will be the site of the West Coast Communities Conference, October 9 – 11. 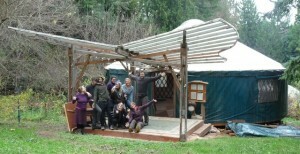 This community, about a 2 1/2 hr drive north of the Bay Area, was started by a group of radical faeries from San Fransisco last August. 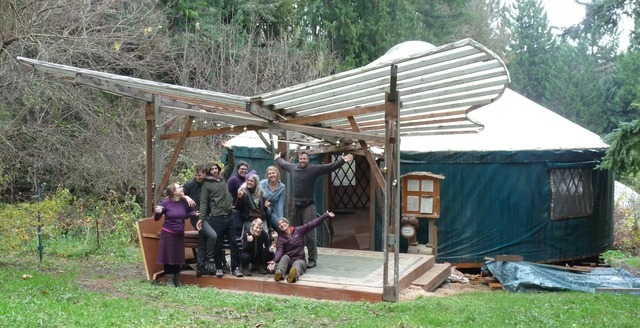 They managed to purchase a full functional, permitted and certified summer camp, complete with commercial kitchen and cabin space for 80 people. The land is gorgeous, with a year round creek and spring (incredibly valuable in drought ridden California). 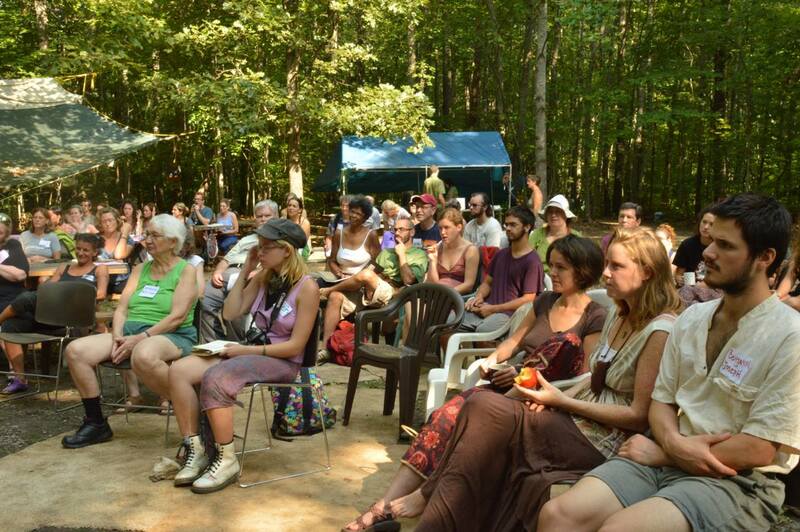 They’ve already hosted 5 events since occupying the site and have a bunch more planned for this year. While in the neighborhood, I visited my good friend Janel Healy, former Twin Oaks Communities Conference manager, and now Online Projects Manager for the Occidental Arts and Ecology Center. 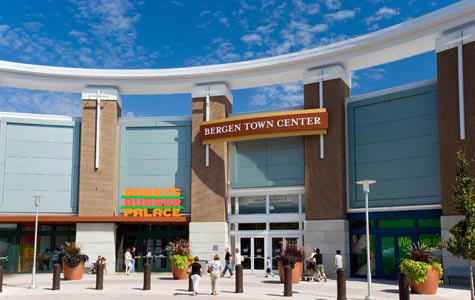 This community is heavily focused on educational programs. Janel showed me around their beautiful, brand new guest cabins, which were built to help accommodate more high profile supporters, like movie stars and politicians. It was interesting to see them and what they represent. In another context, the FIC and Dancing Rabbit, in considering a joint fundraising project, were faced with the concept of the culture of philanthropy. Basically, what do you have to do to be friendly to major donors? 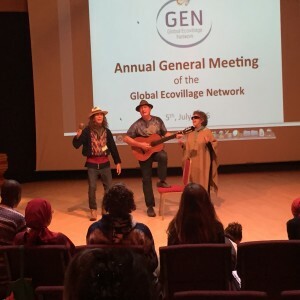 It’s a big question intentional communities with education and outreach missions need to face. Here I saw a direct manifestation of that. I made my way up to Oregon and made a quick stop at Tryon Life Community Farm, where I lived for a few months back in 2008. Tryon has been devloping it’s 6 acres and two large residential buildings into an education, demonstration, and events center for 10 years now. One of my favorite parts about the community is that they are surrounded on 3 sides by a 750 acre state park, but are only 5 miles from downtown Portland. You can be in the woods, gardening at this incredible community, and a 45 minute bike ride later you can be in the heart of possibly the most progressive city in the country. I got to catch up with my old friend Jenny Leis, a Tryon founder, who I’d first met when she did a visitor period at Twin Oaks in 2001. We’ve had the good fortune of staying in touch and getting to watch and cheer each other on as we’ve each grown as movement builders. After picking up Marta and Roberto, a couple more dear friends and former Twin Oakers, in Eugene, we drove down to visit Full Bloom community in the Little Applegate Valley of Southern Oregon. A couple we’d met two years ago at the Communities Conference, Victor and Elena, had just moved there for a trial period and we wanted to check it out. Full Bloom has possibly the most beautiful common house I’ve ever seen. And for a community that is organized around individual finances has some of the strongest emphasis on shared facilities I’ve ever seen. There’s a steep buy-in ($150K) but that primarily goes towards building you a home. They’re looking to expand their educational activities and are actively looking for new owner/members. 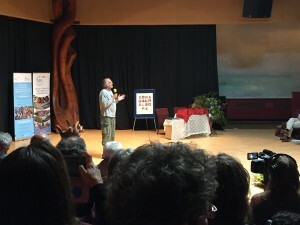 Everywhere I went I shared about what’s going at Twin Oaks these days, talked up the West Coast Communities Conference, and generally got to talk shop and compare notes on the nuts and bolts of community living as well as what’s up in the larger movement. It was an exhausting yet inspiring vacation. I wouldn’t have it any other way.